The Commission signed a new partnership with the Australian-American Fulbright Commission to establish the Fulbright Distinguished Chair in Arts, Humanities and Social Sciences for 2016. The program will attract outstanding American scholars to work at ANU and build collaborative partnerships between ANU and United States universities. “This Chair will enable exceptional senior scholars from the United States to undertake a semester of research in the area of Arts, Humanities and Social Sciences, here at the ANU,” Professor Young said. Australian-American Fulbright Commission Executive Director Dr Tangerine Holt said the new agreement with ANU would provide another opportunity for a Scholar to strengthen the knowledge relationship between the two nations. 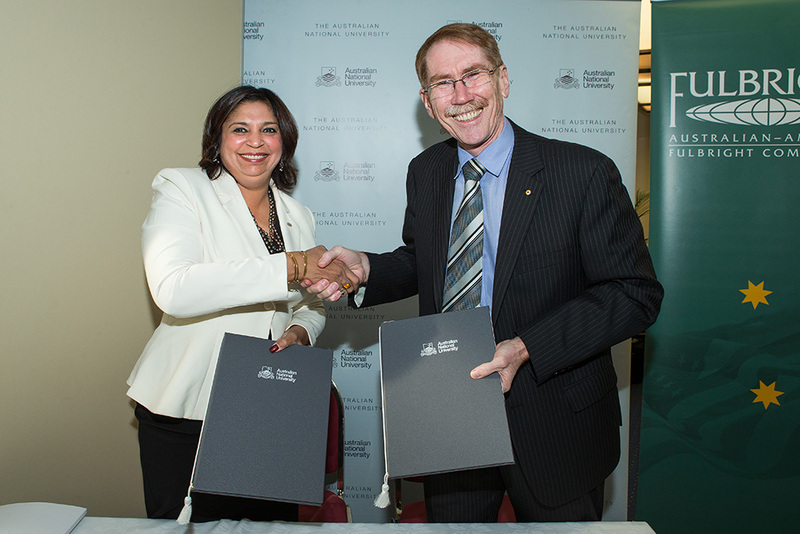 “We are excited to once again join with ANU in this endeavour to foster educational and cultural exchange, and look forward to the knowledge, inspiration and success that our newest collaboration will garner,” she said.